The Soca river (in slovene Soča; in italian Isonzo; in german Sontig) is an alpine river and is considered to be one of the most beautiful rivers in Europe. This consideration is supported by the fact that is also called “emerald beauty” (because of its color) and because of it´s astonishing surroundings, formed by Julian Alps. It is situated in the western part of Slovenia, the lower part of it flows also in Italy where it enters in the Adriatic sea. It´s total length is 137 kilometers. From the history is known as the theater of fights between Italy and Austro-Hungarian Monarchy in the First World War between 1915-1917 (also known as the Isonzo Front by historians). This battle is till now considered to be the biggest mountain battlefield of all times. 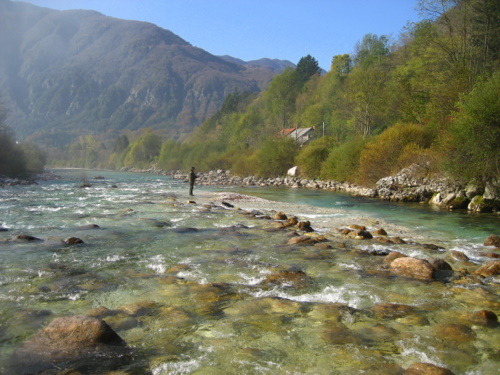 Nowadays is also known as one of the best fishing rivers in Slovenia and in Europe. Many slovenian, italian, french, english, eastern country…, fisherman´s come to enjoy the nature outside and inside the water. The most claimed fish is the native marble trout (Salmo marmoratus) or. “trota marmorata” in italian. In slovenian language is called “Soška postrv” which means “trout from Soca”. This river is ideal for it´s habitat, because is large with deep pools. 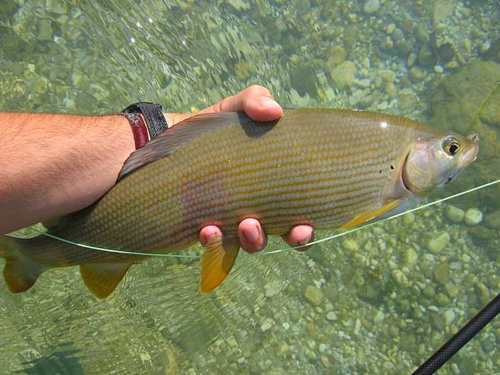 It also has medium and fast rapids which are ideal for another native species – the adriatic grayling (Thymallus thymallus). The main difference between this grayling and Danube grayling is in it´s absence of black spots in the front part of the body and it´s greyish coloration. 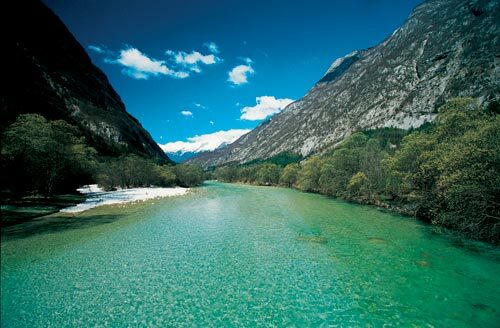 Other species that lives in Soca river are: brown trout, hybrids (marble trout x brown trout), rainbow trout and chub. This river can be divided in 3 parts which represent 3 different associations that manage it. 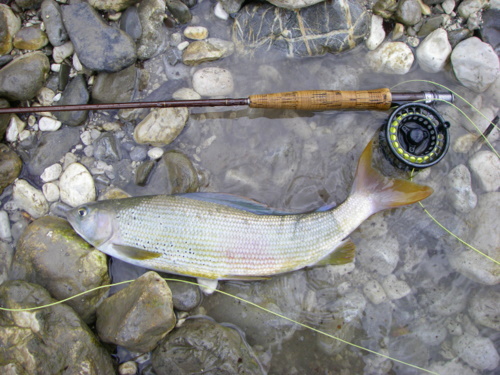 On the most part of the river only fly fishing technique is allowed, with an exception on the lower part, where also spinning is allowed. 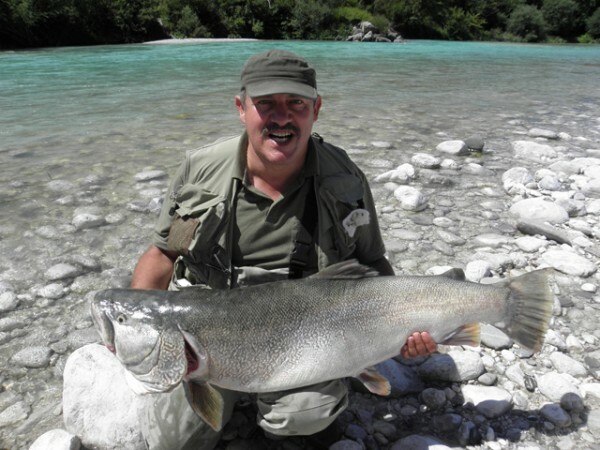 The biggest marble trout caught in Soca river (120cm, 22,5 kilograms)! This one was caught in july on dry-fly. This one was caught on nymph in september.